What Exactly did Yahweh Mean When He Told Adam and Eve Not to Eat “that apple”? Remember, making yourself in the image and likeness; that is, character of the Gods, worldliness, making yourself evil like the Gods is what Satan asks that you do. The character of the Gods is shown in Leviticus 18:1-30. 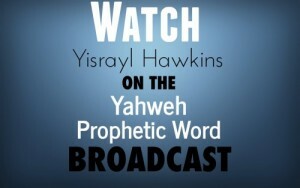 Practicing Yahweh’s Laws is Righteousness and is the Image and Likeness of Yahweh. 8 He who commits sin is of the devil, for the devil has sinned from the beginning (Genesis 1, 5). For this purpose the Son of Yahweh was manifested; that He might destroy the works of the devil. In verse 8, we see Yahshua Messiah, the Son of Man, not the son of God, but the Son of Man, is the appointed destroyer of the works of the devil and the Gods. Practicing sin–breaking Yahweh’s Laws–makes you in the same character as Satan and the Gods (Genesis 3:1, 5), which is worldliness. The Egyptians worshipped all Gods. That’s why their name is Catholic, meaning universal. This means they worship all Gods. Yahweh is not a God. Coptic Catholics do not worship Yahweh. They reject Yahweh and His Laws, as does all Christianity. That’s why they teach that Yahweh’s Laws were done away with. Yahweh and Yahshua did not do away with Yahweh’s Laws. The God worshippers did and still do, even in this last present, prophesied generation.